Step out of the water and into a soft, snuggly towel. Our Supersoft towels are the perfect accompaniment to a long, lazy Saturday morning shower or a luxurious bubble bath. Each towel comes embroidered with your name. 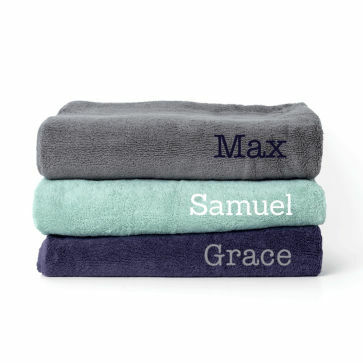 These supersoft towels make a fantastic gift.